What About For The Scalp? My scalp is hyper-greasy with huge chunky flakes. The oil doesn't wash off and my hair is super dry. The hair in back is in clumps. Comments for What About For The Scalp? Response To What About For The Scalp? It certainly sounds like your scalp is experiencing a breakdown so to speak. Since you didn't specify what products you are currently using, I can only assume that they are commercially produced, store bought products. Many people find that the products they use on their scalp and hair produce negative effects and begin to notice that they develop dry, itchy, flaky scalp and this is a result of the body reaching its "threshold of tolerance" to the chemicals in that particular product. In other words, there is only so much toxicity a body can tolerate, hence the "reaction" to its ingredients. The hyper-greasy symptoms accompanied by large flakes are a result of clogged skin layers that have accumulated oil and dead cells and your scalp is now over producing sebum. Moisture is not reaching the hair shafts and you are experiencing dry hair syndrome. 1) At night before bedtime, rub in our specially formulated therapeutic DOUBLE STRENGTH THERACREAM into the parts of the scalp affected. This double strength formula is all natural and penetrates the thicker skin of the scalp deeper and faster to unpack and unclog the skin layers. Allow the cream to absorb overnight into the 7 layers of scalp tissue. 2) Next, wash your hair and scalp with our HERBAL SHAMPOO TREATMENT which is hypo-allergenic and filled with nutrients. These 2 products, together, will unpack dry damaged cells to the deepest part of the scalp and restore much needed moisture to the scalp and hair shafts and regain a healthy balance once again. Please keep me posted as to your results. I've dealt with "normal" dandruff off and on over the year, but last summer it morphed into full blow Seborrheic Dermatitis. 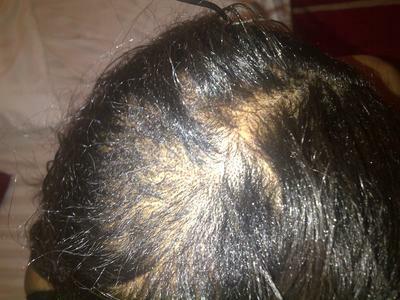 I lost hair, had eczema patch-like scales along my hair line, with an itchy and bone dry scalp. It was awful. I changed my diet and eliminated all processed sugars, alcohol, simple carbs, caff. etc. It helped some esp. with the itching, but it didn't go far enough to manage the flakes and dry scalp and hair. My doctor prescribed Nizoral and it seemed to work some at first but destroyed my hair which is now wispy and dry. I then tried Zincplex and it worked well in terms of "flake management" but it is drying and I still need to use it daily. And my hair was still so dry it wouldn't hold conditioner or even oil treatments. Out of desperation I've tried every remedy I could find and take everything and anything in terms of supplements, yoga, etc. Then I cam across your products. THANK YOU! The Herbal Shampoo Treatment and especially the Double Strength TheraCream are right now the best solution to manage this condition. 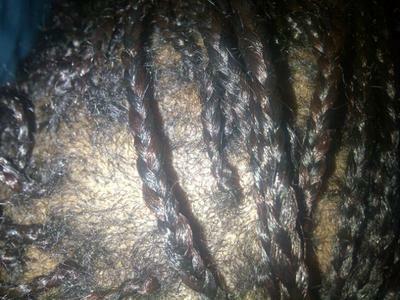 And though I'm not rid of the flaking 100% yet, the dry - pulling scalp are a thing of the past. Most of my hair has grown back and more importantly, it feels "normal" again. I have a process by which I wet my hair slightly and rub in your TheraCream onto my scalp and then comb through. I leave it on anywhere from a few hours to overnight. Next I wash my hair with your wonderful Herbal Shampoo Treatment, and WHA-LA, my hair feels wonderful and scalp is 90% plus free of flakes. 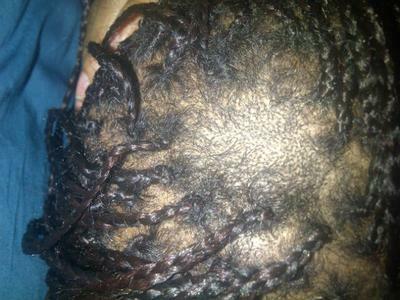 Scalp Psoriasis Or Dry Scalp??? I am a 32 years old woman with (what I've been told by doctors for many years) scalp psoriasis. It started in winter when I was 10, a little dry spot at the back of my head. It used to go away in summer, but coming back every winter. Some years it was bigger, but never really itchy or bloody. Just dry skin and flaky. Never had anywhere else on my body. I had tar shampoo, liquid hydrocortisone, and other psoriasis treatments. Sometimes it works for a while, most of the time I never saw a difference. Since I moved in Europe, in a city with a lot of calcium in the water (lime) it is much worse, covering almost all my head, flaking, with this horrible tearing sensation. Now I'm using a shampoo for psoriasis with sulfur and other stuff that's drying my hair (I can see) and I guess my scalp. It doesn't work. Going through your website makes me wonder... Maybe all those years, I was misdiagnosed and all psoriasis treatments got my dry scalp dryer. I think I will stop using the psoriasis shampoo and follow your tips for dry scalp. I'll write you again to let you know. My hair is curly and unmanageable by nature and adding to my condition it is very difficult to live with, I have thick layers of dandruff and have tried every product but those only help at the beginning and stop working after a while, it is like the illness gets used to it. Please, if you know of a shampoo or cream that can help me I would love to try it, I've heard of quickrelief, but haven't tried yet. I have used the creme you recommended for a while and it did help! Honestly, at first I thought you only wanted to sell me a product, but I tried because I needed something. Thank you!! I had no secondary effects at all and my hair accepted the product very well. It doesn't smell and nobody realized I had it on. I've recovered my confidence and feel very good right now! This product should be announced on YOUTUBE, because it really works! Not like the trashy chemicals and pills they try to make people consume. I will not say that magically my scalp got back to normal, but it was a very worthy process and I am very happy with the results and that is all that matters to me. Blessings to you and thanks for caring. You're very welcome for this website. It serves to provide helpful information for our visitors so that it can assist them in making informed decisions about their health which is one of my passions. I should tell you that so many people, like yourself, have tried an endless number of products that are out on the market today only to find that their condition returns and many times gets worse. There are several reasons for this. If using a certain product for, let's say for a few years, you suddenly notice that you are developing dry, itchy, flaky skin or scalp, this is a result of the body reaching its "threshold of tolerance" to the chemicals in that particular product. In other words, there is only so much toxicity a body can tolerate, hence the "reaction" to its ingredients. Then you reach for a new product which seems to be working great. However, shortly after, your symptoms return only worse. This is due to the fact that most products do not penetrate the 7 layers of skin/scalp necessary to repair the dermatitis, psoriasis or eczema for example. The symptoms seem to improve but are only being suppressed until finally they manifest themselves once again. 1) At night before bedtime, rub in our specially formulated therapeutic DOUBLE STRENGTH THERACREAM into the parts of the scalp affected with the dermatitis. This double strength formula penetrates the thicker skin of the scalp deeper and faster. Allow the cream to absorb overnight into the 7 layers of scalp tissue. 2) Next, wash your hair and scalp with our HERBAL SHAMPOO TREATMENT. These 2 products, together, will unpack dry damaged cells to the deepest part of the scalp and restore much needed moisture and regain a healthy balance once again. Once your skin condition is repaired you need only use the HERBAL SHAMPOO TREATMENT to keep your scalp healthy and problem free. Please keep me posted as to your results Keryn. I would just like to be able to wear dark colors but cannot due to an extreme case of scalp psoriasis. Also my hands are so dry and papery. I have a severe back problem and received cortisone epidurals which give me relief and for some reason, also clear up my psoriasis, but I cannot have them very much because I am diabetic and you know cortisone is not good for me. Anyway, my scalp is so bad I would appreciate any advice. I understand the frustration you feel in having such an extreme case of scalp psoriasis and being limited in the colors of your clothing. And I will also be addressing how to resolve the condition and strength of the skin on your hands. Our hands are some of the most highly used parts of our body and when they hurt....our activities can be greatly hindered! You mentioned cortisone epidurals but you must know that cortisone and hydrocortisone are in the corticosteroids class of drugs, often used as an anti inflammatory to reduce inflammation and suppression of immune system action. Because of these steroids' adverse side effects, you usually are only permitted to use them for a short time. Side effects include: thinning and discoloration of the skin, easy bruising, permanent dilation of certain blood vessels, burn marks on skin, liver and kidney damage and a weakened immune system. It is wise to avoid them as much as possible. Here are my recommendations for the psoriasis on your scalp followed by what to use to help repair the skin on your hands. 1) At night before bedtime, rub in our DOUBLE STRENGTH THERACREAM into the parts of your scalp affected and be sure to do this daily. This double strength formula is all natural and penetrates the thicker scales of psoriasis as well as the thicker skin of the scalp deeper and faster and will stop any itching you may be experiencing. Allow the cream to absorb overnight into the 7 layers of scalp tissue. 2) Next, wash your hair and scalp with our HERBAL SHAMPOO TREATMENT which is hypo-allergenic and filled with nutrients. These 2 products, together, will unpack dry patches down to the deepest part of the scalp and restore much needed moisture and regain a healthy balance once again. They will also provide anti bacterial protection while working. Once your condition is repaired you need only use the HERBAL SHAMPOO TREATMENT to keep your scalp healthy and problem free. For your dry hands, I would strongly recommend our HAND & BODY THERACREAM to be applied day and night. This cream is hypo-allergenic and filled with rich, wholesome ingredients to penetrate the 7 layers of skin to provide healing "deep down" with complete absorption necessary for the replenishing of much needed vitamins and moisture for proper skin repair. One of the biggest reasons why the majority of creams on the market today DO NOT absorb into the skin is because they contain mineral oil or other petroleum by products. The fact is that gasoline is made from petroleum and a by product of this process is mineral oil and widely used as a cheap filler! This inert molecule called mineral oil, is too large to even penetrate the much smaller pores of our skin so it just sits there, suffocating our skin and acting just like plastic wrap, not allowing moisture in or out. This is why most creams do not absorb and mineral oil is to be avoided. Please let me know how you are progressing Sharon. hair throughout the year but all becomes waste within this 3 or 4 months(winter). Can you please suggest some permanent solution like what shampoo to use and how to handle her hair? Dry scalp syndrome can occur at any age and can be quite frustrating. We have a large number of customers who have had similar symptoms with their children's scalp who have found great relief by first applying a light coat of our Double Strength TheraCream onto the scalp area and then when ready to wash the hair, use our Herbal Shampoo Treatment. This combination is highly moisturizing as well as has anti bacterial properties and will restore the proper pH to the scalp and hair. Can you apply the Double Strength TheraCream - 25% Shea Butter & 20% Urea 4 oz not just to your scalp but directly on your hair to help dry hair? Very good information on the Douoble Strength TheraCream.....I will try it!! Because our DOUBLE STRENGTH THERACREAM brings an abundance of moisture to wherever it is applied, you certainly can further apply it to your hair. It will bring much needed moisture to the hair shafts. My recommendation is to add a small amount of sterile water to the cream you wish to rub into your hair as this will thin it's consistency and make it easier to apply. You may also want to consider using our HERBAL SHAMPOO TREATMENT as this will restore the natural PH of the hair and also greatly moisturize the shafts. Please keep me posted on your progress Stephanie. 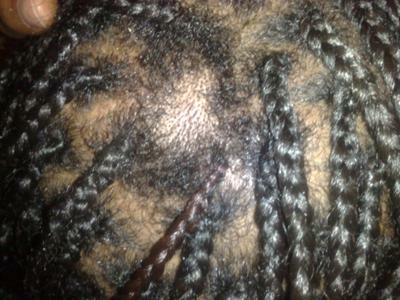 I have been suffering from crazy, dry, itchy scalp for several years now - right on the center of my scalp. I have used several shampoos, products, hair lotions, everything to stop the itch and subsequent hair-loss, but nothing seems to work. The more it itches, the more I scratch and pull, and then the hair never grows in that spot. All other parts of my scalp are unaffected except that particular spot. I have read about several scalp conditions and can't seem to find what the problem is. Note that I don't really have flaky skin in that spot except on other parts of my hair/scalp. p.s I have African-American hair. It's curly and cannot be washed every single day. Actually, your symptoms sound all together too familiar as dry, itchy scalp with hair loss is becoming more and more prevalent. It also appears that you have a "combination problem" scalp condition. The goal here is to restore your entire scalp to a balanced and healthy state. You mentioned that you have used several shampoos, products and hair lotions but nothing seems to work. Truthfully, so many of the commercially produced products out today are full of toxic chemicals that produce a harmful effect on scalp conditions and can include damaging overall health. My recommendation is to always go with pure and natural products. The two products I would highly recommend are our HERBAL SHAMPOO TREATMENT combined with our DOUBLE STRENGTH THERACREAM. 1) At night before bedtime, rub in our specially formulated therapeutic DOUBLE STRENGTH THERACREAM into the parts of the scalp affected. This double strength formula is all natural and penetrates the thicker skin of the scalp deeper and faster. Applying this cream will stop the itching and begin to lift up all the layers of dead cells (seen as flakes) that are clogging the hair follicles and throwing off the balance of the scalp and hair growth. Allow the cream to absorb overnight into the 7 layers of scalp tissue. 2) Next, wash your hair and scalp with our HERBAL SHAMPOO TREATMENT which is hypo-allergenic and filled with nutrients. You need not wash every day as I know your hair is curly and that is fine. You can leave in the cream until your scheduled hair washing. Know that these 2 products, together, will unpack dry damaged cells to the deepest part of the scalp and restore much needed moisture and regain a healthy balance once again. If this cream is used in conjunction with your shampoo for treatment of seborrheic dermatitis; is it a leave-in product or should it be rinsed out after a few minutes? Thank you. You can purchase our DOUBLE STRENGTH THERACREAM right here on our website (www.skin-remedies.com or for International orders outside of the USA, you can order from our sister website at www.aim2health.com). To answer your second question, whenever you are using all natural products such as ours, there is not "time out" for usage. Our products feed the skin and scalp and nourish them while adding moisture and repairing the 7 layers of tissue. Our customers use our DOUBLE STRENGTH THERACREAM on the scalp for as long as they need to rid them of their scalp condition. The time for this will be relative for each person but I can tell you that our product do work quickly due to deep and rapid penetration and health building ingredients. I advise using our HERBAL SHAMPOO TREATMENT along with the DOUBLE STRENGTH THERACREAM as this will restore the proper PH as well as keep the scalp in a healthy and balanced state. Please feel free to contact me with any other questions you may have Roselle. 1.) Where can I get this Double Strength TheraCream? 2.) Does it have a time out for use? Like, do I have to stop after 3 consecutive months of using it? Or is it just a 2 week treatment? 3.) Which shampoo goes well with it? Thank you for contacting me with your question. When using our DOUBLE STRENGTH THERACREAM in conjunction with our HERBAL SHAMPOO TREATMENT, it is best to apply the cream onto the problem scalp areas and leave it on for at least two hours. This double the strength cream will quickly penetrate the 7 layers of scalp tissue and begin to unpack the dry, dead cells that have accumulated and become trapped with any remaining oils. I actually recommend that if you wash your hair in the morning, to simply apply the cream before going to bed and wash in the morning. The cream is non-greasy and fast absorbing so most folks find this method very do-able. Please keep me posted on your progress Judith. I have had a very itchy scalp for several years now. Just on the crown part of my scalp. I have tried everything from shampoos, to conditioners, to creams and treatments. Nothing seems to work to stop the itching which is driving me insane. Recently I've been using a DHT blocker scalp pomade, this has alleviated the itching, but it has not stopped completely and the patchy hair loss is still there. My main concern is 1) in order to use your shampoo treatment, what is the frequency of usage that I can manage. 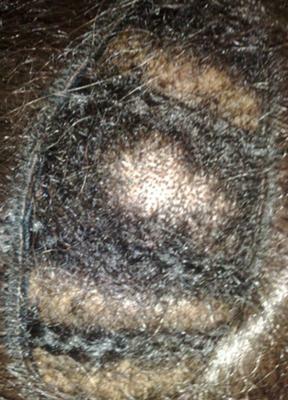 I have African hair which I perm every 6 - 8 weeks. So it is not very possible for me to get my hair washed daily for the treatment. As my hair will dry out. I feel I have a two fold issue very oily scalp in the crown area but the rest of my scalp is normal/dry plus a dry hair. What is the best way for me to handle the treatment. As i have read other user reviews and their successes. I'd like to sort out my scalp issue once and for all. P.s the reason I can not wash my hair everyday is because it needs to conditioned and rolled professionally to sit properly to avoid it drying out. Dealing with itchy scalp and hair loss can certainly be frustrating. Unfortunately, the very hair treatments that we seek for enhancement in our appearance, such as perming and rolling, can damage the hair and scalp quite extensively. Braiding can pull very tightly on the delicate hair strand and put pressure on the hair follicle resulting in hair loss. That said, for our website viewers I will say that DHT, which stands for Dihydrotestosterone, also plays a major role in hair loss. You mentioned using a DHT blocker scalp pomade but did not mention if it was a certain medication. DHT blockers may have side effects that persist even after treatment is over which would include higher risk of depression, memory loss and brain fog. DHT inhibits nutrition required for healthy hair follicles and proper intake of nutrients is essential for hair growth. Our customers with similar symptoms of itchy, dry scalp have found great relief by first applying a light layer of our Double Strength TheraCream several times per week followed by shampooing with our Herbal Shampoo Treatment. These help to restore the scalp to a more balanced state, whether too oily or dry, while adding much needed moisture so that the scalp and hair follicles can function as they should. Please keep me posted on your progress Yinka. Great Results With Your Double Strength TheraCream On My Scalp! I scream about your products from the rafters!!! I may have a few more converts coming your way too. I’m seeing great results using the Double Strength TheraCream on my scalp for hair regrowth, works better than Rogaine by far. You could repackage the double cream and sell it as a natural solution for Rogaine! I’m loving the results so far! I’m so happy to have found your products that I’m happy to make sure you guys keep goings!!! WE NEED YOU!!! Thanks!! I'm 20 years old and recently within the past year after I went home on leave with my husband to Long Island, started getting a dry flaky scalp. I thought "OH"! No problem - I'm in the cold, and I've been living in Texas for 1 year so I'll just start using Head and Shoulders. WRONG! It has gotten SO bad that I've wasted my time waiting for useless prescriptions, money on at least 1,000 dollars worth of hair crap (no lie) oh, and my SANITY because I feel ugly and disgusting with this mess all over my head. I have dark hair, so it's worse because everyone points it out. I also have psoriasis, however it's very, very mild and I've never had an outbreak from it just a tiny patch on my elbow that I don't bother with anymore. So naturally I'm not associating that with what's on my head. It is HORRIBLE!!! It's reaching further down my ears, behind them and all over my scalp it's red and itchy and just mass amounts of flakes everywhere. It's embarrassing, every time I sweep my bathroom floor its just a huge pile of dry skin. PLEASE HELP ME!!! Comments for Horrible..SEVERE Dry Scalp! Response To: Horrible..SEVERE Dry Scalp! From what you describe it sounds like you are suffering from Seborrhea or Seborrheic Dermatitis as it is also called, which is a common, inflammatory skin condition that causes flaky, white to yellowish scales to form on oily areas such as the scalp or inside the ear. It can occur with or without reddened skin and is characterized by intermittent, active phases that manifest with burning, scaling, and itching, alternating with inactive periods. Activity is usually increased in the winter and early spring. Although the exact cause of seborrheic dermatitis is unknown, there are a number of possible causes. These include: stress, fatigue, weather extremes, oily skin, infrequent shampoos or skin cleaning, use of shampoos that contain alcohol and other toxic hair products, skin disorders (such as acne), neurologic conditions, appears to run in families and have a genetic origin, as well as thought to be due to a combination of an over production of skin oil and irritation from a yeast called malessizia. You mentioned using a myriad of products and prescriptions for your condition, all of which have not worked. This doesn't surprise me as most of these contain harsh chemicals that are actually toxic to the body and produce dangerous side effects. To bring your scalp back to a healthy balance, I strongly recommend the following. At night before bedtime, rub in our specially formulated therapeutic DOUBLE STRENGTH THERACREAM into the scalp. This double strength formula is all natural and penetrates the thicker skin of the scalp deeper and faster. It has anti fungal and anti bacterial properties and further alleviates any associated itching from dry scalp. Allow the cream to absorb overnight into the 7 layers of scalp tissue. Next, when you wash your hair and scalp use our HERBAL SHAMPOO TREATMENT which is hypo-allergenic and filled with nutrients. These 2 products, together, will unpack dry damaged cells to the deepest part of the scalp and restore much needed moisture and assist your scalp in regaining a healthy balance once again as well as restore its proper PH. Please keep me posted on your progress Alex. I'm not sure from your email if you were given internally taken antibiotics along with a prescribed shampoo. I will say that unfortunately antibiotics, which literally means "against life", destroys not only the bad bacteria in the body but the good as well. This can greatly weaken the body and make the body vulnerable to outbreaks and other reactions. As far as Ketoconazole shampoo, this is an antifungal that is supposed to work by preventing the growth of fungus and is prescribed to control dandruff and relieve the flaking, scaling and itching associated with dandruff. However, there are possible side effects to its usage which include abnormal hair texture, discoloration, irritation, or pimple-like bumps on the scalp. There may also be oiliness or dryness of the hair and scalp. Serious allergic reaction may include: rash, itching and swelling, severe dizziness and trouble breathing. Ceanel is also a medicated shampoo that contains two active ingredients cetrimide and undecenoic acid. Cetrimide is an antiseptic, which kills certain types of bacteria, fungi and viruses on the skin and also acts as a detergent to remove debris. We are firm believers in applying natural ingredients that will help to restore the skin and scalp in a health building way. I would highly recommend the following for your facial area: first cleanse with our gentle Face & Body Wash followed by an application of our Face & Body TheraCream. For your scalp I would recommend: applying our Double Strength TheraCream coupled with our Herbal Shampoo Treatment. Many of our customers have found tremendous relief with these products. Please keep me posted on your progress Jan. I am 21 years old and I have had scalp psoriasis since I was about 7 or 8 years old. I have tried everything and nothing cures it. Please advise me on what to try. I can certainly understand how frustrating it has been for you to have scalp psoriasis since you were a small child. Most people, like yourself, have tried just about everything. Truthfully, so many products on the market fail to provide the relief from dry, flaky scalp conditions since most of these products are filled with chemicals and hurt rather than heal the scalp. As an Herbalist, I strongly feel that natural is the best way to treat scalp psoriasis. 1) At night before bedtime, rub in our specially formulated therapeutic DOUBLE STRENGTH THERACREAM into the parts of the scalp affected. This double strength formula is all natural and penetrates the thicker skin of the scalp deeper and faster as well as the thicker scales that form with a psoriasis condition. Allow the cream to absorb overnight into the 7 layers of scalp tissue. 2) Next, wash their hair and scalp with our HERBAL SHAMPOO TREATMENT which is hypo-allergenic and filled with nutrients. These 2 products, together, will unpack dry skin cells in the deepest part of the scalp and restore much needed moisture and regain a healthy balance once again. They will also stop any itching and provide anti bacterial protection while working. Please keep me posted on their progress Tosha. Only when my hair grows a little thicker it breaks out in blotches of red irritation with white crust on top. I have to have my fiance scrape and grease it for relief. But the problem still persists. Mainly when my hair grows back to half of inch or more. Once I cut my hair and medicate with hydrocortisone 1% sometimes prescribed 2.5%.it seems to disappear. But once hair grows back to half inch the whole problem comes right back. Is there a better solution to this other than shaving my head and medicating it with hydrocortisone which works temporary, there has to be a better solution? It's painful, but if I don't scrape and grease while hair is grown thicker it seems to just be itchy, red, and the dry skin which seems to appear like chunks of dry snake skin that peels which leaves it red under the dry skin. Any better solutions? This happens even when its humid out, in fact its worst on humid days. Does anybody know some better solutions because it's beyond "head and shoulders." I will recommend a much better solution for your scalp problem. While the "scraping and greasing" seems to give you some temporary relief it is really only exacerbating the problem as more cells get damaged. Also, there are several things about hydrocortisone use that you should know. Steroid use carries possible side effects! These side effects include: thinning and discoloration of the skin, easy bruising, permanent dilation of certain blood vessels, burn marks on skin, itchiness, perioral dermatitis, liver and kidney damage and a weakened immune system. Not only this, but when you stop steroid use it almost always produces a "rebound effect" of the very symptoms you are trying to get rid of! I highly recommend first applying our Double Strength TheraCream on all parts of your scalp that is affected. Leave this on overnight as it works to unpack the dry dead cells and add much needed moisture. Then follow this in the morning with our Herbal Shampoo Treatment. Of course, you can arrange the time frame of this process any way that best fits your schedule. Please keep me posted on your progress Christopher. I have been diagnosed with psoriasis finally! I had to have 3 areas taken from my left buttock and hip area and sent out for testing. I have had this problem for years and have seen several Dermatologists. Of course they write out prescriptions for lotions, creams, gels, shampoos, and it is all useless and a waste of money! I am a nurse and I knew it was psoriosis or eczema! So now that I have a true diagnosis I still get the same problems. It is seriously driving me nuts!! I am 54 years old and have several health issues and one of the major issues are the blood pressure medications that dry out my skin as well but I can't stop those medications and I am tired of spending hundreds of dollars on junk that dose not work. I saw your website about your products and more than anything in this world, I would love to find something for my scalp and hair follicles. So I ask for your opinion as to what would work for my scalp to start with. Thanks, Colleen. Yours is a story I unfortunately hear all too often! When people have gone through enough of the hardship of seeing way too many doctors who have challenges deciding on what condition you have and then prescribing too many steroid creams to unsuspecting patients without providing a list of the possible side effects. These side effects include: thinning and discoloration of the skin, easy bruising, permanent dilation of certain blood vessels, burn marks on skin, itchiness, perioral dermatitis, liver and kidney damage and a weakened immune system. Not only this, but steroid use almost always produces a "rebound effect" of the very symptoms you are trying to get rid of! For your scalp I would highly recommend first applying our Double Strength TheraCream in the evening followed by washing with our Herbal Shampoo Treatment in the morning. Of course, you can arrange the timing of these products to fit your personal schedule. The scalp truly responds to health building ingredients. Please keep me posted on your progress Colleen.